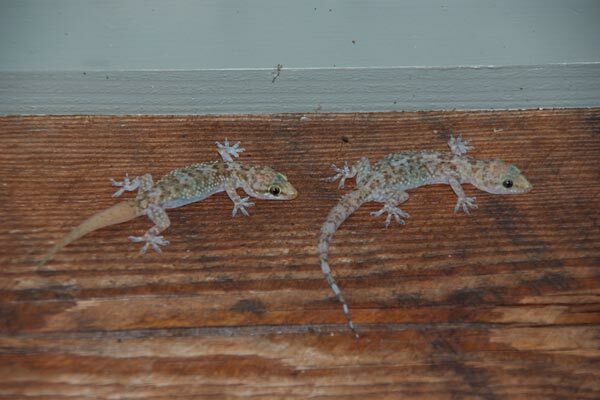 These geckos are native to the Mediterranean region, as you might have guessed, but are one of several gecko species that have successfully colonized large swaths of the world. They are established in localities across the southern U.S. from California to Florida, typically in and around man-made structures. These were two of the dozen or so keeping down the bug level at the campground bathrooms. I'd seen these a couple of times before at least, in Arizona and California, but never got close enough for a recognizable photo. 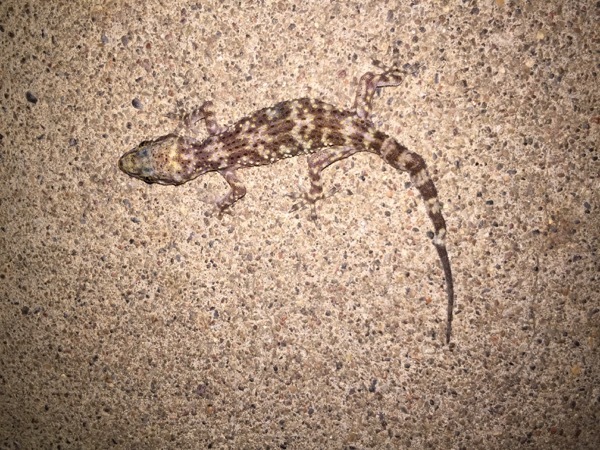 I was staying in downtown Scottsdale at my dad and stepmother's place and was taking the dogs for their last-chance-of-the-night outing when I spotted this little gecko in the middle of the sidewalk. Not exactly the natural habitat of this European species, but I'll take any gecko I can get.